The purpose of reading reviews of Licensed Forex Brokers, is to know which one is best for you. You most probably are already investing with a Forex broker, and are looking to find a new broker that offers more features and better terms. Here are a few key items to check for when researching a Forex broker. Is my Forex broker licensed and regulated. How easy is their Forex trading platform and software. What are the spreads for the assets I will be trading. Have other investors complained about this broker. How fast do they process withdrawals. 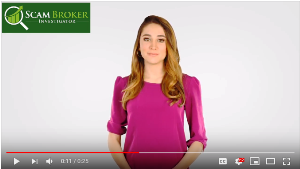 As of April 2019, we have reviewed more than 600 online brokers. Many of those brokers are no longer in business because they were not licensed entities. Below you will see many Forex broker reviews, and all the brokers listed on this page are licensed and regulated. It is still important to double check that they are licensed in your country. You should know, many fraudsters online setup fake companies to scam people. Take a minute and read about Forex Investing Scams. ForTrade is one of the fastest growing Forex CFD brokers in London, and they are licensed by FCA & ASIC, see here. You should try their custom trading platform, which is very easy to use, look here. PepperStone is a large global Forex broker that is licensed by the FCA and ASIC, see here. Pepperstone offers investors a variety of unique trading platforms including MT5 & CTrader, read more. VantageFX is a popular Australian regulated broker with a solid reputation. They have the new MT5 trading platform, look here. You will receive free trading signals, and unlimited Free Demo Accounts, signup here. Plus500 is an established CFD provider that many Australian investors use, look here. Try their Free Demo Account, and you’ll understand why, go to: Plus500.com. 24option is a popular Forex & Crypto broker, licensed in Europe by CySEC and in South Africa by the FSCA, look here. Many beginner investors use this broker because of their easy trading platform. Start with a Free Demo Account, signup here. CM Trading is licensed by the FSCA in South Africa, making them a popular choice, see here. They offer the Sirix and CopyKat trading platforms, read more at: CMTrading.com. Forex.com is a Forex and Futures broker that is registered with the CFTC and a member of NFA, see here. They offer a robust web trader platform, along with MT4 and a desktop trading software. You should try out their Free Demo Account, signup here.